Mayonnaise is a magical food. I say that because I absolutely love how eggs [affiliate link] and oil and an acid mix together and become something so creamy and delicious. My husband found a chipotle mayonnaise on sale at the store which was free after using a coupon but of course it contained icky things like soybean oil and other weird stuff. It was because of that mayonnaise however, that I decided to try making my own. It has become our new favorite mayonnaise. Place all ingredients except for the chipotle powder into a tall jar in the order listed. 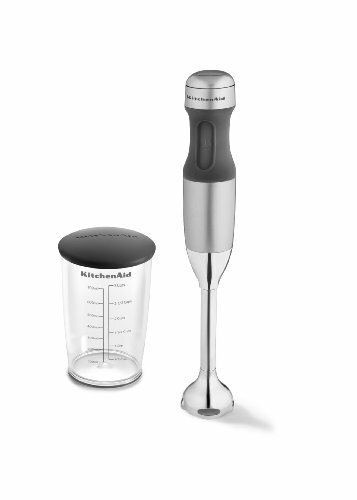 Using a stick blender, slowly pulse repeatedly until ingredients begin to emulsify. When the mixture is mostly white and creamy you can move the stick blender around a little faster. After the mayonnaise is done, you can add extra lime juice if you wish a tarter flavor to your mayonnaise. Adding more lime juice will make the mayonnaise thinner. You'll need to add chipotle powder to your personal liking. The mayonnaise reduces the heat significantly, so you may be able to add more than you normally would. What I like to do is to remove a portion of the mayonnaise that I know we'll use for the meal, and flavor it and leave the rest plain. So I might take 1/2 cup of mayonnaise and add 1 teaspoon chipotle powder, taste and see how I like it. Delicious homemade mayonnaise with a smoky kick.